Disney wants Alice to return to Wonderland. 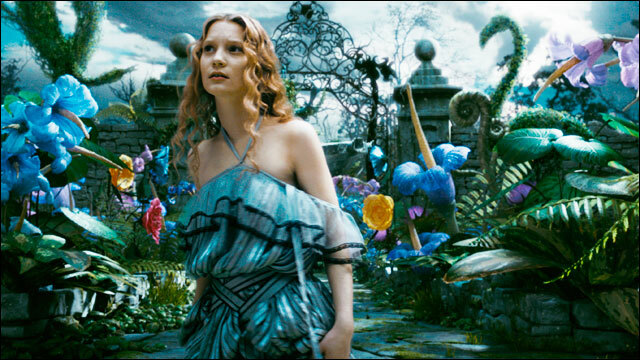 Mouse House stalwart Linda Woolverton is penning a sequel to Tim Burton’s “Alice in Wonderland,” the 2010 hit that starred Mia Wasikowska as Alice and Johnny Depp as the Mad Hatter. The 3D film went on to earn $1 billion worldwide and scored Oscars for art direction and costume design. Woolverton has a long history with Disney, having previously written the studio’s “Beauty and the Beast,” “The Lion King,” “Homeward Bound: The Incredible Journey,” and “Maleficent,” and contributed to toons “Mulan” and “Aladdin.” Sequel’s plot details are under wraps, but first film was inspired by Lewis Carroll’s “Alice’s Adventures in Wonderland” and its sequel “Through the Looking-Glass,” with Alice fleeing real-world pressures by returning to Wonderland. Disney’s first “Alice” pic is already is being developed as a musical by Disney Theatrical Prods, with Rob Ashford set to direct based on a script that Woolverton also wrote. Stage version will follow the plot of the “Alice” movie. The “Alice” sequel is the latest fantasy tale Disney is currently lensing or developing along with big budget fantasy tales, including “Maleficent,” “Cinderella,” “Peter and the Starcatchers” and “Magic Kingdom” that feature characters found in its theme parks. It has “Oz the Great and Powerful” bowing in March.